Rick Levine, president of Rick Levine Productions, is one of America’s outstanding commercial directors. The narrative and visual power of his work has earned him a reputation as a director of exceptional creative vitality. His unique command of both dramatic nuance and kinetic spectacle has established him as a leader in a highly competitive field. Levine was raised in New York City and graduated from the Parsons School of Design. He began his career as a graphic designer for NBC and CBS. In the early 1960s, Levine entered the vanguard of the “creative revolution” in advertising as an art director at Doyle Dane Bernbach. He joined Mary Wells when she founded Wells, Rich, Greene, and later worked with Carl Ally as a creative director. While at Carl Ally, Levine’s involvement with television commercials developed into an interest in directing. This became a professional reality when he joined Wylde Films as a director in 1969. In 1972, Levine founded his own company. Rick Levine Productions reflected his dedication to quality in commercials and placed an emphasis on excellent creative material and high production values. Professional independence afforded Levine the opportunity to develop and explore the commercial medium. The classic Levine style, the ability to capture the essence of the moment, began to evolve at this time. Soon, desiring greater visual expression in his work, Levine became his own director of photography. The resulting “Levine Look,” a fine grasp of dramatic dynamics and an artist’s eye for visual fabric, combined with graceful technical expertise, has attracted such clients as Pepsi Cola, DuPont, Coca-Cola, Federal Express, Ralph Lauren Polo, U.S. Sprint, and General Electric. The growth of the company’s client list and increasingly complicated shooting schedules led to the opening of a Los Angeles office. Levine spends part of each year in Europe as well, shooting for both U.S. and overseas concerns. Levine’s work has won him recognition at home and abroad since he first entered the field. He has been honored with literally dozens of awards in such industry-wide competitions as the Clios, Art Directors Show, Andy Awards, Mobius Awards, and the One Show, with juries drawn from the leading ranks of the advertising trade. At the international level, Levine has been saluted with gold, silver, and bronze Lions at Cannes, and a Grand Prix at the Cannes and Venice festivals. 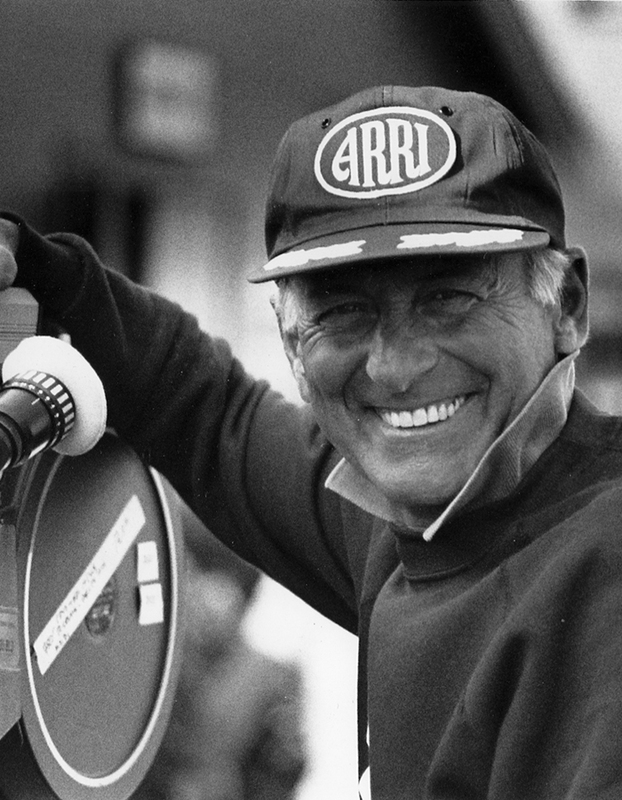 His move to become his own cameraman was celebrated at the 1984 Clio awards, when he received the Eastman Kodak award for cinematography. Perhaps most important, however, is the respect of his peers, acknowledged in 1981 and again in 1988 when Levine was voted Most Outstanding Commercial Director by the Directors Guild of America. In 1990, Levine received his eighth D.G.A. nomination for Most Outstanding Commercial Director. Levine’s work continues to win awards for excellence in direction, cinematography, and overall production. Within the last few years, his commercials have won Lions at the Cannes Film Festival for Pepsi Cola, and first prizes in the Clio Awards, Advertising Age Best of 1988 Award, and the London International Advertising Awards. Levine was voted Best Director by the International Film and Television Festival of New York in 1988 and 1989 and by the Clios in 1988 and 1990. At the 1990 International Broadcast Awards, Levine received the Grand Prize “Sweepstakes” award for Diet Pepsi “Missing Link.” His 1987 Diet Pepsi “Apartment 1OG” was voted Best Commercial of the last three decades. Levine was honored with an invitation to assist in the first intensive study by the Smithsonian of a single advertising campaign. The “Pepsi Generation” oral history and documentation project takes its place in the advertising history collection of the National Museum of American History. Levine’s participation was sought because he directed some 14 commercials in this campaign for Pepsi. His commitment to the project was acknowledged with a certificate of appreciation for his time, and for his many contributions to advertising technique. Please note: Content of biography is presented here as it was published in 1992.